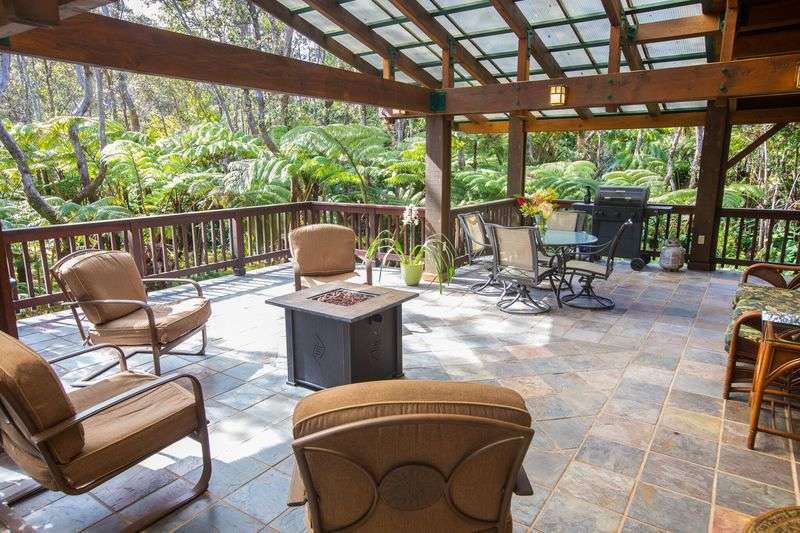 You will enjoy this high level, ocean view unit that has been recently upgraded. 3308-1 has tile floors throughout, cherry cabinets, bar stools, and tasteful island furnishings. 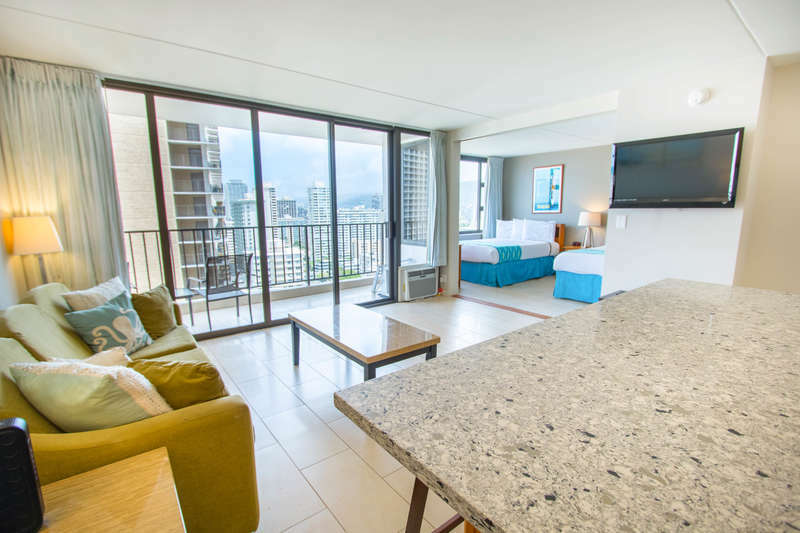 Fantastic views of the ocean and Waikiki Beach, which are only one block away! Enjoy a fully-equipped kitchen and comfortable seating in the living room. Kitchen includes refrigerator, range, microwave, rice maker, coffee maker, and other kitchen wares. There is room for five people to eat at the island. 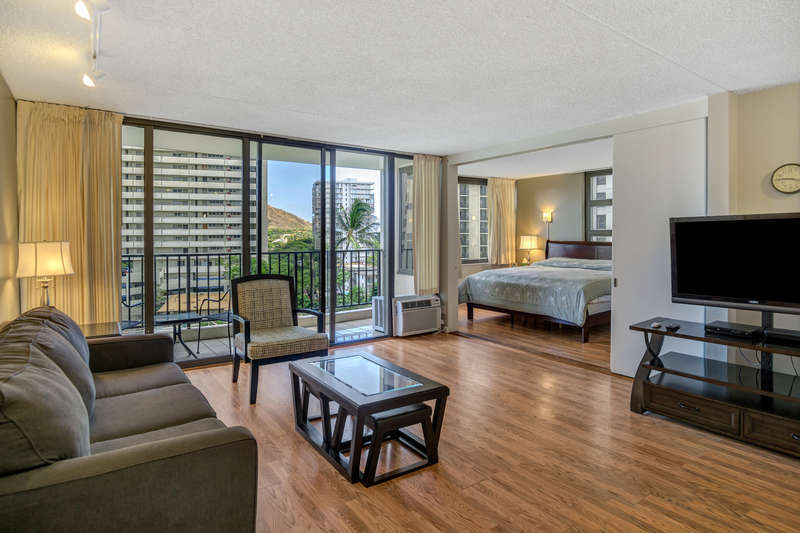 Take advantage of one of Waikiki’s best values! Convenient sleeping arrangements include a California King-sized bed in the bedroom and a queen-sized sofa sleeper in the living room. The bathroom has plenty of cabinet storage. This bathroom has a door between the vanity and toilet for privacy and also features access from the kitchen giving more privacy to bedroom occupants. There is also a hand shower for your comfort.